Whether you are going to the beach or the mountains you need to have a camera that can handle the elements. In addition to being water proof, these rugged cameras are also freeze, and shock proof. They also allow you to dive deep under water to take the perfect picture. Most of these waterproof cameras also have Wi-Fi connectivity, GPS and compass features. What more do you need in a underwater camera? To help you capture those special moments we review the best cameras for snorkeling that offer all the features you need. They can even be used for scuba diving, the Nikon COOLPIX AW130 can be taken down over 100 feet. For more of my top gear recommendations, have a look through these popular Outside Pursuits guide links: Full Face Snorkel Masks, Snorkel Fins, Snorkel Sets. 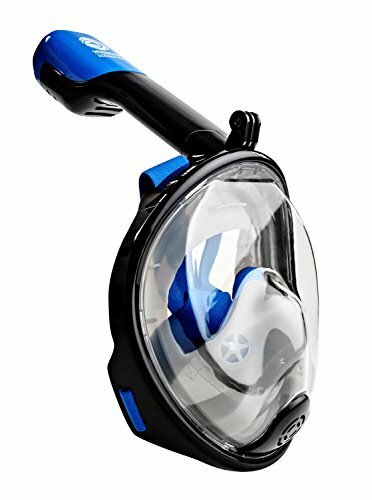 Let’s take a look at the top rated snorkel cameras, then we’ll talk about how to find the right one for you in our buyers guide below. Features: Wi-Fi for easy transfer, built-in GPS and an electronic compass. Wi-Fi for easy transfer. Wi-Fi for easy transfer, built-in GPS and an electronic compass. The 16-Megapixel Nikon COOLPIX AW 130 in my opinion is the best diving camera. It is ideal choice for those who want the best possible pictures of underwater life and beauty. With numerous amazing features, the Nikon COOLPIX is the camera that you can literally take anywhere, be it boating, fishing, snorkeling, rafting, scuba diving, hiking, snowboarding or skiing. 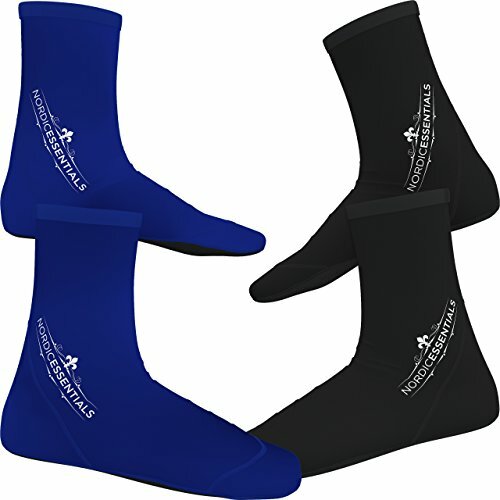 In addition to being waterproof, freezeproof and shockproof, it has built in Wi-Fi which allows you to easily and instantly transfer pictures to your phone or computer. The Nikon also features GPS, an interactive world map, underwater depth gauge, an electronic compass and an altimeter. It also has Near Field Communication technology (NFC) that works with Android 4.0 or higher. Waterproof – It is the only camera that is waterproof for up to 100 feet so it is ideal for diving as well as snorkeling. Freeze-proof – Nikon COOLPIX is freeze-proof up to 14 degrees Fahrenheit. Shockproof – It has the capability to withstand drops from as high as 7 feet. Dustproof – Being dustproof, it takes perfect pictures even at the dusty, sandy environments of beaches. Point of Interest – The built in Points of Interest (POI) feature shows you the nearby photo-ops, such as historical landmarks or picturesque places. Built in GPS ad Mapping system – When you take a picture with the Nikon COOLPIX, it records the location of the picture as well and allows you to access those locations with a map button. High Resolution and Wide Angle – A 5x optical zoom NIKKOR glass lens that comes with a wide angle OLED display of about 24mm that provides a wide field of view. Fine Zoom – It also has a fine zoom feature which enhances the zoom up to a 10x magnification. Vibration Reduction – The vibration control features of this amazing camera can offset camera shakes and ensures that you get sharp and steady photos and videos. Create Action Sequence – Take as much as 5 shots per second, just by holding down the shutter button. Make HD videos – Only a single click turns it into a video camera. Make HD videos of you adventures with the Nikon COOLPIX AW130 without the fear of ending up with a shaky one as its Hybrid Vibration Reduction gets automatically activated as soon as you start recording. Image Sensor -The 16-megapixel image sensor is highly sensitive and makes sure that you get clear and detailed pictures with as low noise as possible, even in low light, under water conditions. Log Function – Turn on the log function and adjust it to your liking to track even the fine details of your movements. Depth Gauge and Altimeter – The Nikon COOLPIX AW130 has a built in pressure sensor that measures your depth or altitude and show it on the camera screen. Automatic Target Finding AF – Getting clear focus in any condition is no more a problem with the Nikon COOLPIX AW130. Its precise and fast AF identifies the main subject and focuses automatically on it, even in low light or underwater conditions. Add Special or Quick Effects to your Pictures – Choose from 8 quick effects, such as choosing a white or a black background to make your subject stand out, or add special effects to your photos, such as vividness, just by single touch as you shoot. The Nikon COOLPIX AW130 comes with a rechargeable lithium ion battery, a USB cable, charger, a strap, cleaning brush and a user’s manual. This is the best underwater camera for scuba diving, it takes amazing pictures up to 100 feet underwater. The Fujifilm FinePix XP 80 is a point- and-shoot camera that comes with a 2.7-inch LCD16 GB SDHC card and built in Wi-Fi connectivity. It is also waterproof, shockproof and has numerous other features as well, making it excellent value for money. 2.7-inch LCD Display – The 2.7 inch, 460 k-dot LCD of the Fujifilm FinePix XP 80 has an anti-reflective coating that makes working in the bright and sunny conditions a lot easier. Waterproof – You can take this Fujifilm camera up to 50 feet underwater and it will give you really sharp and clear images. Freezeproof – Record your skiing/snowboarding with the Fujifilm FinePix XP 80 because it can withstand temperatures as low as 14 degrees Fahrenheit (-10 degrees Centigrade). Shockproof – If you own a Fujifilm FinePix XP80, you do not need to worry about the camera if it accidentally drop it because it can absorb shocks without causing any hiccups from as high as 5.8 feet. Dustproof – The camera does not allow the dust to ruin its internal components with its adherence to IP 68 standards. In Camera Editing – Fujifilm FinePix XP80 has an amazing feature of in camera editing for videos. Now, you do not need to transfer the video to your laptop in order to do the editing and can do it right away. Built-in Microphone – There is a built in mono microphone with a wind filter incorporated in it that records sounds during video recording. Optical Lens – Fujifilm’s FinePix XP 80 has a 5x optical zoom lens with sensor shift image stabilization which makes sure that you get a sharp and clear image without any signs of camera shake. The high resolution and zoom also make it possible to take pictures in low lighting conditions. The 5x optical zoom gives it a focal length range of 24-1200 mm. Intelligent Digital Zoom – Intelligent Double Zoom is an added feature that increases the zooming capability up to 10x without the degradation of the image. Wi-Fi Connectivity – Sharing photos and videos has now become a quick process with cameras that have built in Wi-Fi connectivity. Fujifilm’s FinePix XP 80 makes it much easier by adding the wireless connectivity feature, which makes content transfer as simple as pressing a button. Additionally, by installing the Fujifilm Camera Remote app on your mobile or tablet, you can use the camera’s remote shooting feature by controlling it through your phone/ tablet from a distant location. 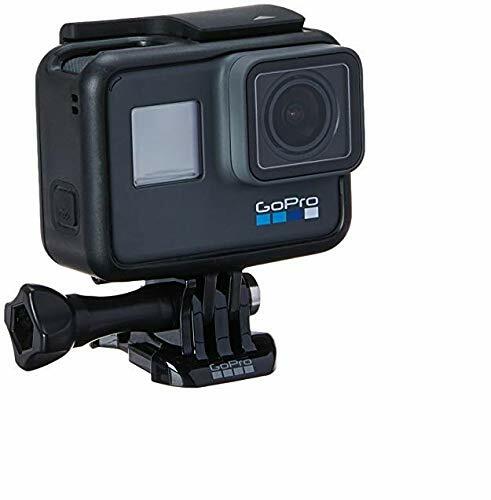 Action Camera Mode – Action Camera Mode permits you to record all your adventures, be it skiing, paragliding, snorkeling or any other such activity, and that too, in HD. What more can one want? The plus point of Fujifilm’s FinePix XP 80 is that when you are using this feature with an optional mounting device, its LCD screen automatically switches off as soon as the recording starts in order to extend battery life and recording times. A built-in flash that can be used in 4 modes (auto, slow synchronization, suppressed flash and forced flash). It also has a red eye removal feature which can be switched on or off from the main menu. Fujifilm’s FinePix XP 80 also has a motion panorama feature that captures the pictures at 120, 180 or 360 degree pans automatically as you move the camera. The Fuji does not have some of the advanced features of the other cameras like GPS but it does what it supposed to do well and that is take great photos. In my opinion this is the best camera for snorkeling, it takes amazing pictures for a bargain price. As the name suggests, the Olympus Tough TG 4 is strong and rugged with a long battery life, making it the perfect camera to use on your adventure trips. It is also packed with numerous modern, yet easy to use features, such as an built electronic compass, GPS, depth and altitude gauges plus Wi-Fi. High Resolution Image – Olympus TG 4 has a 16-megapixel BSI CMOS sensor with bright f/2.0 4x optical zoom and TruePic VII image processor, which ensure that you get a high resolution image even in extremely low light. It also has a removable front ring that allows the user to add different accessories to it. Waterproof – The Olympus TG 4 allows you to take pictures as deep as 50 feet. Dustproof – The Olympus TG 4 is completely dustproof, thus, allowing you to take high quality pictures even at the most sandy places. Freezeproof – Taking pictures in freezing cold weather is not a problem with the Olympus Tough TG 4, as its freeze-proof feature allows you capture your life’s memories in as low a temperature as 14 degrees Fahrenheit. HD Video Recording – Record HD videos at 1080p or 720p and at a good frame rate of 240 fps or 120 fps, to capture your adventures. Capture Raw Image – The Olympus TG 4 has an added feature that enables you to capture the raw image alongside the JPEG version of the image. Microscope Mode – Capture the finest details of the object with any of the 4 available modes in the TG 4. Microscope mode allows you to capture the image from as close as 1 cm. Microscope Control allows you to choose different display magnifications in microscope mode in order to achieve the desired focus. This feature allows you to magnify the image up to 44.5x. Focus Bracketing allows you to capture different images with different focus. Focus Stacking is the feature that captures different objects with different levels of focus and then automatically combines them to form a single frame. Built in GPS, Electronic Compass and Wi-Fi – Built in GPS not only helps you in identifying and locating various places, but also allows landmark tagging and geo tagging. The electronic compass provides information such as the longitude and latitude, altitude and depth, time, date, water and atmospheric pressure. The Wi-Fi connectivity feature allows you to share your pictures and videos without delay. The camera can be linked to your smart phone or computer to make instant sharing possible. Additionally, installing the Olympus Image Share app on your phone or tablet will allow you to control your camera from a distant location. The features that can be remotely controlled include adjusting focus and exposure, zoom control and releasing the shutter. A fully charged battery of the TG 4 lasts for around 300 pictures. Additional Features – In addition to the aforementioned amazing features, the Olympus TG 4 camera also has multiple scene modes, art filters and picture modes which allow you to make lapse movies as well. The Olympus TG 4 is highly recommended and one of the best waterproof cameras with all the features you want while taking just about any abuse you can throw at it. Canon being a world leader in cameras has come out with one of the better underwater cameras that is feature rich. It is an ideal camera for taking outdoors and of course underwater. The Canon Power Shot D30 is an extremely tough and durable camera that will take excellent pictures while taking just about any abuse you throw at it. LCD Display – The Power Shot has a 3 inch viewing screen with 461k dot high resolution LCD screen. The LCD has an anti-glare coating making it easy to view in just about any lighting condition. 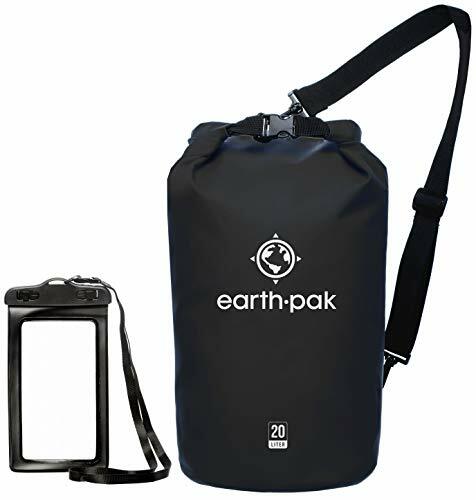 Waterproof – The Power Shot really excels here, it is waterproof down to 87 feet (25 meters) second only to the Nikon COOLPIX AW130, which is water proof down to 100 feet. 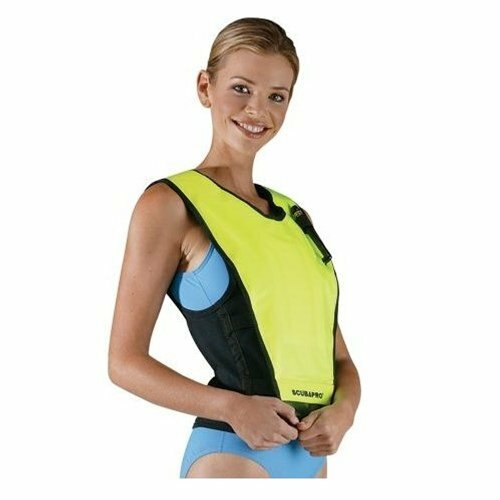 It will handle the full range of the Open Water certified recreational diver and of course work for snorkeling and freediving. Freezeproof – The D30 can handle temperatures resistant all the way down to 14° degrees F.
Shockproof – It will withstand drops from 6 ½ feet or 2 meters. Dustproof – The D30 is fully sealed against particulates so it is perfect for taking to the beach or any muddy, dirty conditions. High Resolution – The camera uses an advanced BSI-CMOS sensor with 12 mega-pixels of resolution combined with a DIGIC 4 Image Processor for high quality pictures. Built-in Microphone – The high quality microphone records audio in movie mode and has a built in noise reduction. Optical Lens – The Power Shot D30 has an excellent lens as you would expect from Canon. The 5x optical zoom with focal length range of 24-1200 mm will allow you to get close to the action. The optical image stabilization will dramatically help out action scenes by reducing camera shake. Intelligent Digital Zoom – In addition to the 5x optical zoom the camera also can zoom in 4x digitally. Action Camera Mode – While it can’t compete fully with a GoPro for HD frame rate it will shoot 1080p video at 24 frames per second and at 720p will shoot 30 frames per second. GPS – The Power Shot D30 has a built-in GPS that will record in the video or picture the coordinates. Now you don’t have to try and remember where you took the pictures. With the included software will display the photo location on a map plus it track your route from picture to picture so you can see your path. Video: See the Canon Powershot in action. Additional Features – The camera features “Smart AUTO” which instantly analyzes te shooting conditions and matches it against 32 predefined settings and uses the proper one for the best possible picture. All done without you having to do anything! The Canon Power Shot D30 is an ideal action and underwater camera for snorkeling and SCUBA diving. It can handle just about any environmental condition you can throw at it and give you pictures where few other cameras can. Now, no matter where you are going the D30 can go with you capturing those unforgettable moments. This is one of best underwater cameras for snorkeling. The Panasonic DMC-TS30 Active Camera is a bargain priced camera, that while not having as many features or specs as other cameras it still worth your consideration. This is an ideal snorkeling camera that takes excellent underwater pictures and videos. Capture the memories of all your adventures with the DMC-TS30A. LCD Display – The Panasonic has a standard size 2.7 inch LCD display that has 230k dots of resolution that is easily visible under most any lighting conditions. Waterproof – The camera is meant more for snorkeling type activities as it is waterproof down to 26 feet or 8 meters. Freezeproof – The camera is comparable to all of the other camera reviewed and is freezeproof down to 14 degrees F or -10 C.
Shockproof – The Panasonic DMC-TS30 will withstands drops of up to 5 feet or 1.5 meters. Dustproof – The camera is fully sealed against dirt, mud and sand. High Resolution – With higher resolution than cameras costing twice as much the CMOS sensor has 16 mega-pixels of resolution. Built-in Microphone – The DMC-TS30 has a good quality microphone for recording audio when you are video mode. Optical Lens – The 4x optical zoom with focal length range of 25-100mm will allow you to get close to the action. Image stabilization is where the DMC-TS30 is where this camera shines. It features “MEGA O.I.S.” (Optical Image Stabilizer) which samples movement 4,000 times per second to give you blur free pictures. Intelligent Digital Zoom – The camera has a 2X digital zoom in addition to the 4X optical zoom. The camera allows switching back and forth between video and still pictures instantly. Action Camera Mode – Here is where the camera shows its bargain price. It lacks a HD video mode of 1920 x 1080 and its max resolution is 1280 x 720 at 30 fps and 640 x 480 at 30 fps. GPS – The DMC-TS30 does not have GPS capability. Additional Features – While not really a “feature” the lens does not extend from the camera when zooming in, rather its all internal so you have to worry about damaging it while extended and allows you to put it back in your pocket immediately without waiting for the lens to retract. The DMC-TS30 offers a time lapse mode to create special effects and has a special “underwater mode” where the camera compensates for red light being lost underwater and compensates by emphasizing them to create natural images. While the Panasonic DMC-TS30 Active Camera does not have all the features and specs of some other “Tough” cameras it comes close in most areas and does it while costing half as much. 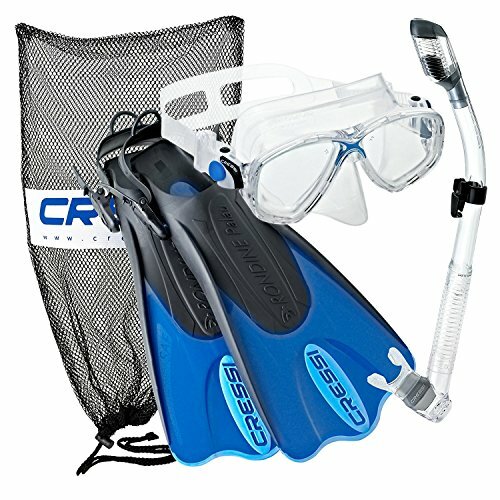 It is an excellent choice for snorkeling and most any outdoor activity. If your going snorkeling or diving you will probably want to take some pictures or video of all the beautiful sights. You just need the right underwater camera to do it. If you are looking for a serious underwater DSLR camera, this article is not for you. We are going to be discussing simpler point and shoot cameras. Which brings us to our first consideration. A DSLR is a Digital Single Lens Reflex; these are usually used by serious photographers who want much more control over the picture taking. Normally they are going to have better resolution (MP) and better lens that are interchangeable. Since we are discussing point and shoot or compact camera, were only going to discuss those considerations. Since we are discussing compact cameras, there is no large differences between the models reviewed here. Since we’re assuming you just want some good pictures and video and not looking to get on the cover of National Geographic, well discuss features that will be important to you. 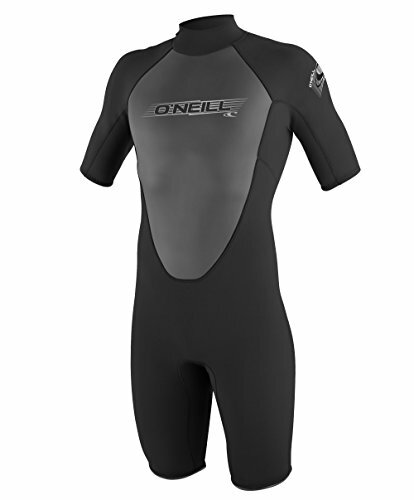 Good quality body that allows you to go as deep underwater as you need. Mega Pixels – A megapixel is equal to one million pixels. Digital pictures are made from millions of these tiny, picture elements, the more pixels, the higher the image resolution. Lens Quality – Using a better quality GLASS lens with better grinding techniques plus optical coatings is what makes a better lens. The lens is probably the most important factor in a good picture. Optical Zoom – Not to be confused with “digital zoom”, optical zoom is the lens acting like a telescope. It is able to magnify the image with the lens. Digital zoom, just zooms in a part of a picture, the result is a picture of diminished quality. Macro Lens – This where you are able to take a close up, usually within a foot or so. Most camera will not have the ability focus to an object so close. Wireless Transfer – This is the ability to transfer pictures using wifi instead of using a USB cable. Video – The ability to shoot video in at least 720p is certainly a nice feature to have with at least a refresh rate of 30fps. Better cameras allow 1020p or HD at 30fps. Normally this is only found on more expensive cameras. If you plan on using the camera for scuba diving the Nikon COOLPIX AW130 is your only option. It can be taken down to depths of a 100ft. If your just snorkeling, you have a wide variety of options available. 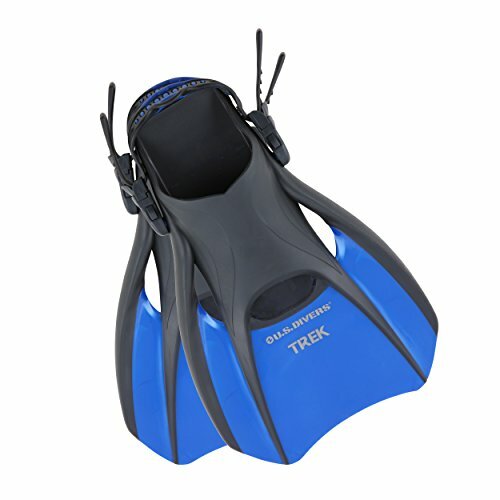 For snorkeling, features and image quality will be the deciding factors. The Fujifilm FinePix XP 80 is a great budget priced snorkeling camera. Any of these cameras are going to take some great pictures of your underwater adventures. I hope this guide was helpful for finding the best camera for snorkeling to fit your needs. If you want to comment or recommend a camera I didn’t include, please use my contact form to get in touch. i wouldn’t touch the recommended no 1 camera on this review. seems to be a generic design fault and it leaks easily. Just check all the amazon reviews. yes. I came to this review page after a google for camera reviews and snorkeling , then headed over to amazon to check the price and saw a load of 1 star reviews, googled around more and there’s loads of people that say the camera leaks.